We are about to embark on a new project here at Dixter, the growing of interesting vegetable not only for eating but also for there foliage. We had a meeting with the two men who are going to front this project for us, I found it very hard to get to sleep on Friday night, I was so excited, it is just the project I need to take to Little Compton, Rhode Island at the end of July when I am there to give a talk on vegetable growing, this will give the talk so much more interest for all. I will ask dear Ed Bowen (one of the best nurserymen in the United Sates) to grow some of the plants over there, all these plants are grown in pots, I can use these live plants as part of my talk. 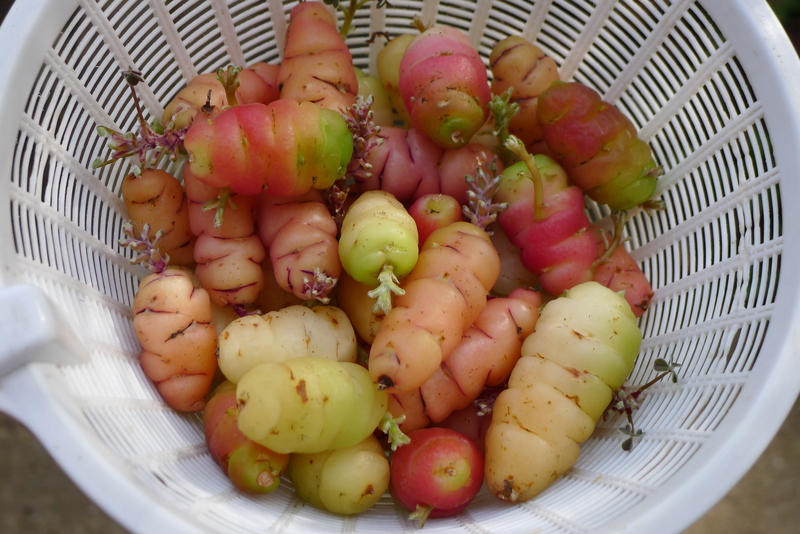 The ones that I have found most interesting are the Oca (Oxalis tuberosa), my Grandmother use to roast them for me as a child, how exotic am I? 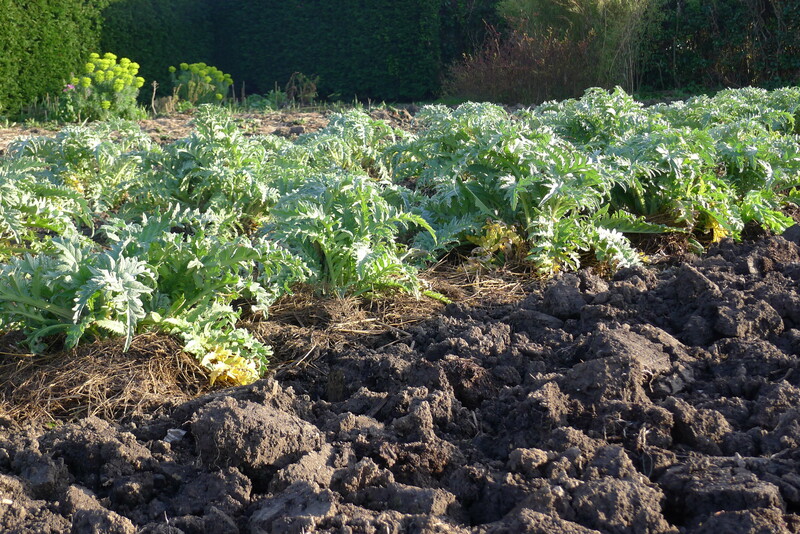 The project is going to be called “The kitchen Garden a new experience” maybe the title of my talk also……. We started the next stage of the vegetable cycle yesterday, we have sown seed out in the garden, the area that was rotavated on Tuesday is now planted up, I am very happy to report, and the Sweet Peas are planted, we have planted Spencer mix, thank you Tom for the plants, Tom sowed the seed on the 5th November. 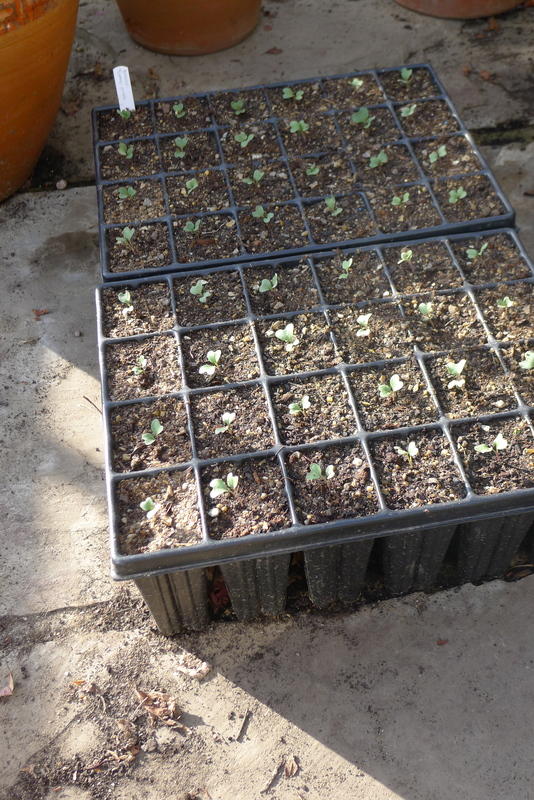 The seed that we planted yesterday was Spinach F1 Boeing, Moles Seed and Beetroot Detroit 2 ‘Crimson Globe’ Moles Seed. We also now have a row of Shallot’s in, we used our own stock for this. 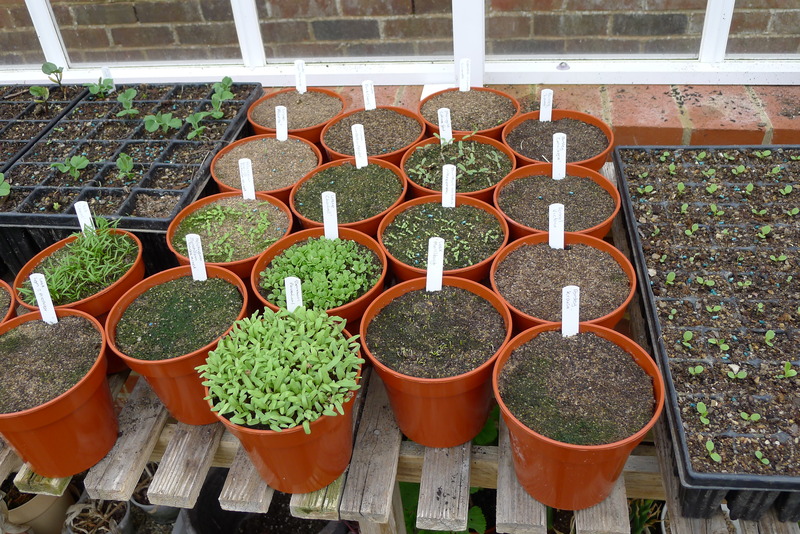 It is great to have the area planted up, things are also doing very well in the glasshouse next-door. 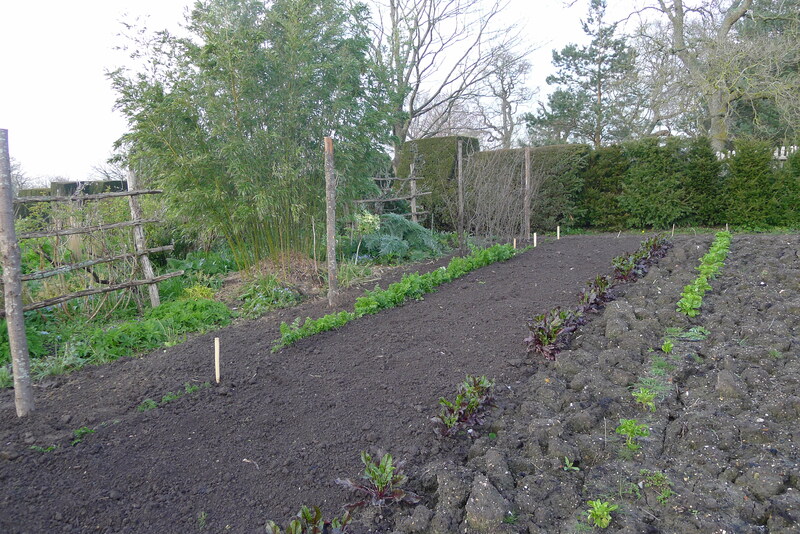 It was great to dust off the rotavator and get the first area of the garden ready to be planted, we always start in the High Garden as it is the area of the Vegetable Garden that warms up first, and with the other three areas around it looking great it can look like the poor cousin. 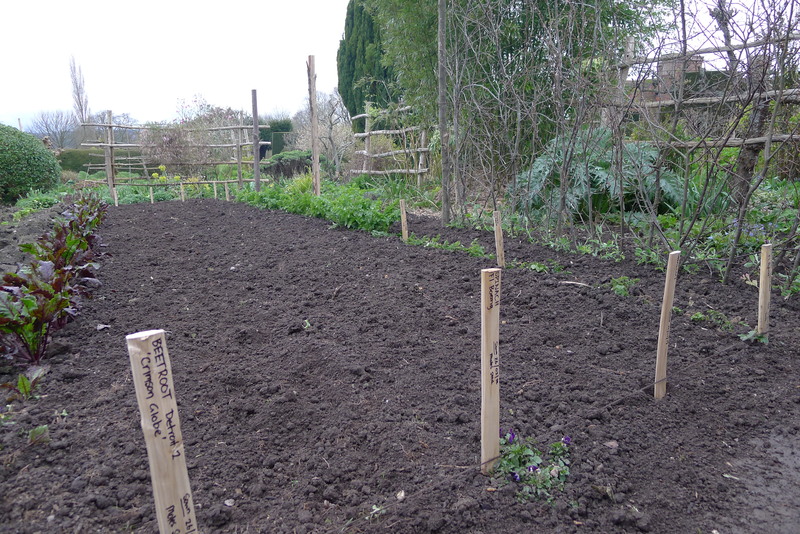 I am a little unsure what the weather is going to do so we have only worked on a small area, we dug in the poles in that are going to be used for the Sweet Peas and Climber Beans. The area is thirty of my feet long and so ten will be used for the Sweet Peas, the other twenty for the Beans. Garden work is like the seasons, they are on a cycle, we have come to the time of the year when we start to sow seed which leads to pricking out and that is what I did on Saturday morning, I was worried that the Broccoli ‘Summer Purple’ was not going to hold in the pot over the weekend with the heat, the seed was sown on the 12/03/14 and was already big and full enough to move on. I have put them into large plugs from which they will go into the ground when the roots full the plug. I need to start to work on the soil now so I am ready. We had a great end to the week today up in the Vegetable Garden, well it started last night with 10mm of rain and then the sun came out, I put my sun block on and went out to weed and clean the Globe Artichoke bed, after the light rain last night the weeds came out without a problem and I had help, Andrew was in today and gave me a mornings work, we got the whole area weeded the half that is not going to be lifted we put a mulch on and weeded along the new path, the Vegetable Garden is looking great, next week, the High Garden. Jealousy is not a bad thing to feel sometimes, I felt like that when I went over to see Tom at Gravetye Manor on Monday, there is so much more going on in his walled garden than the vegetable garden here and his glass housers are full of plants that he will get out in the next month, it did make me think I need to up my game and so since then I have gone for it and planted some twenty one pots of seed and seven plug trays, all the digging I am going to do was finished today, if the weather stays like this I am going to be on top of things very soon, the holiday in Australia seems a long time ago, I will have to go on another holiday soon.